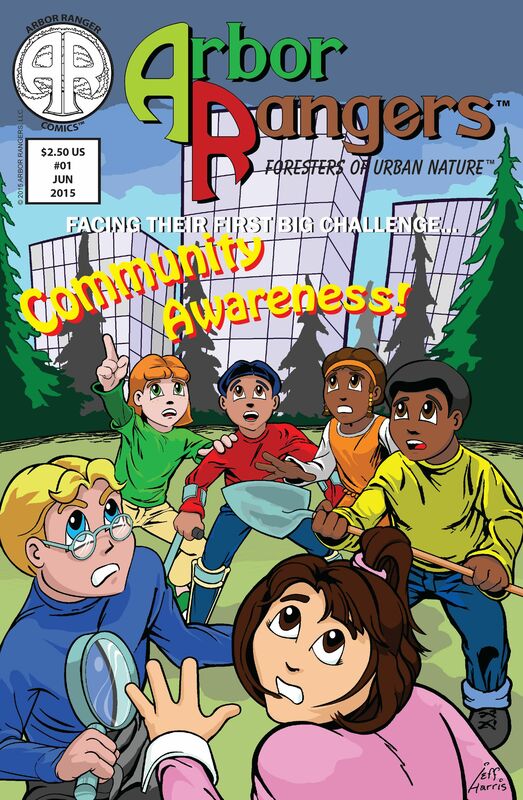 The Arbor Rangers ™ Foresters of Urban Nature ™ Comic Book is under production. The final cover design of the new Arbor Rangers™ comic book. Click on the cover image for a larger view. Arbor Rangers ™ will feature “Adventures in Arboriculture” learning activities, as our Creative Team puts together more puzzles, mazes, games, and all sorts of fun activities for Arbor Rangers ™ everywhere! See how the cover pictured above was created here and be sure to check back for updates on our website!